Adathoda is a medicinal plant of common occurrence in Kerala. Botanically, the plant is a profusely branching shrub growing up to a height of 1.5 metres. Two major species are important medicinally viz., Adathoda vasica (Valiya adalodakam) and Adathoda beddomei (Chittadalodakam or cheriya adalodakam). 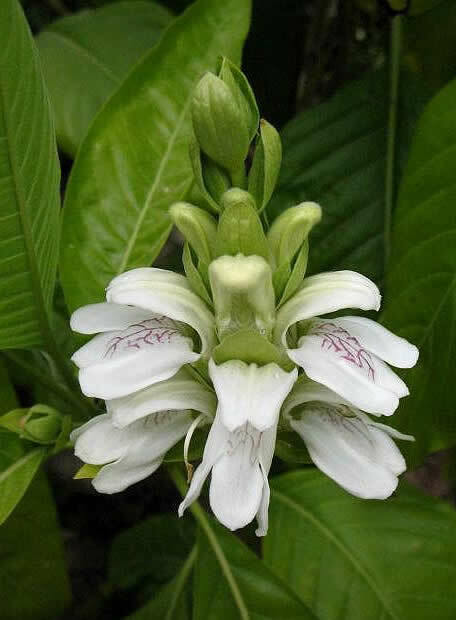 Chittadalodakam is the medicinally important species mostly seen in Kerala. It is one of the main ingredients of many ayurvedic preparations. The whole plant, Leaves and roots of the plant are medicinal. 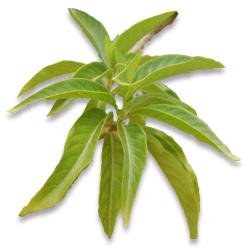 Leaves contain an alkaloid vasicine, which is effective against cough, chronic bronchitis, asthma etc. Though the crop grows in a variety of climatic and soil conditions, alluvial soils are best suited for raising the crop. The plant is tolerant to shade but is susceptible to water logging. It can be cultivated either as a pure crop or as an intercrop in coconut and rubber plantations in the initial 3-4 years. Adathoda is propagated by tender stem cuttings. Stem cuttings of 15-20 cm long and 3-4 nodes are ideal for planting. It is better to root the cuttings in nursery before transplanting in the main field. Nursery preparation can be done in March-April. For this, the tender stem cuttings are planted in poly bags filled with farm yard manure, top soil and sand in the ratio 1:1:1. Cuttings will root readily and will be ready to transplant to main field after two months. Rooted cuttings of adhatoda can be planted on mounds or on ridges. Plough and level the main field thoroughly and ridges or mounds are prepared 60 cm away from each other. With the commencement of rainfall, rooted cuttings are planted on the ridges with a plant to plant spacing of 30 cm. If grown on mounds, up to 5 cuttings may be planted on a single mound. In sloppy areas cuttings are planted directly by making pits with a sharp pole. Adequate care should be taken to prevent water logging as it may promote rotting.Irrigate the crops at an interval of 4 days. Apply organic manure in the form of FYM, compost or green leaf at the rate of 10 t/ha as basal dressing. Apply N:P:K each at the rate of 50 kg/ha. Entire P should be given basally and N and K may be given in two equal splits. Keep the field free of weeds and give earthing up after topdressing with fertilisers. Leaves, roots and stem of adhatoda are of medicinal value. Leaves can be harvested from the first year of planting itself; but roots will be ready to harvest only two years after planting. December-January is the ideal time for harvesting adhatoda. In the second year, the entire plant is harvested and roots are carefully dug out wholly without damage by carefully removing soil. Harvested roots are cleaned and marketed either in fresh form or after drying. Total yield of root, stem and leaves from one hectare of area will be 10-11 tonnes. Adathoda of commerce consists of the fresh or dried leaves of Adathoda. Dried leaves are of a dull brownish-green colour, characteristic odour and bitter taste. The leaf extracts of adathoda is used as an expectorant especially in chronic bronchitis and asthma. It relieves cough and breathlessness. It is also prescribed commonly for local bleeding due to peptic ulcer, piles etc. Its local use gives relief in pyorrhoea and in bleeding gums. 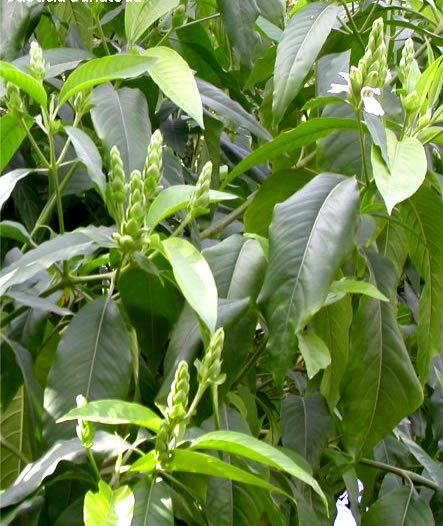 The leaves of the plant contain two major alkaloids called vasicine, and vasicinone, which are shown to be having bronchodilator and antihistaminic effects. These alkaloids are said to exist in combination with an acid that has been named adathodic acid.